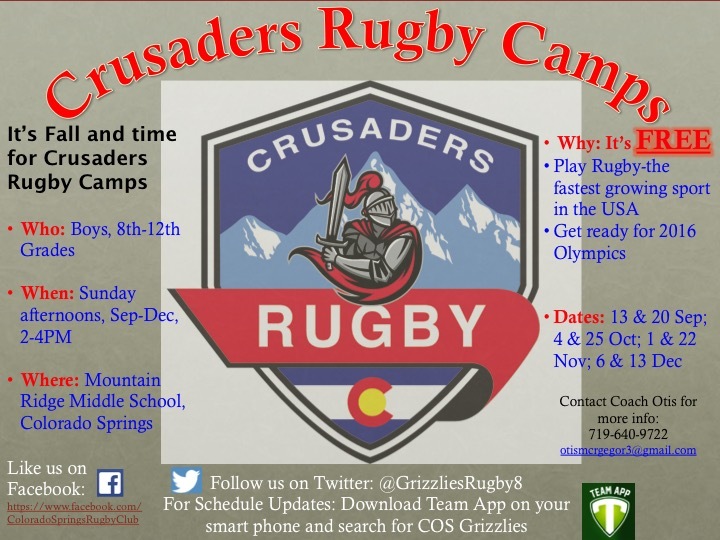 Colorado Crusaders Camps, an opportunity in eight parts for secondary school boys to check out rugby, hone their skills, or pick up on current changes in rugby law is happening beginning next weekend on Sunday, September 13. The venue is Mountain Ridge Middle School, home ground of Colorado Springs Grizzlies. The action all begins at 2pm and runs until 4 on the Sundays specified in the flyer above. The camps’ instructional component will be delivered by a cohort of savvy rugby teachers that includes Grizzlies coaches Otis McGregor, Tim Branning and Jim Donovan. 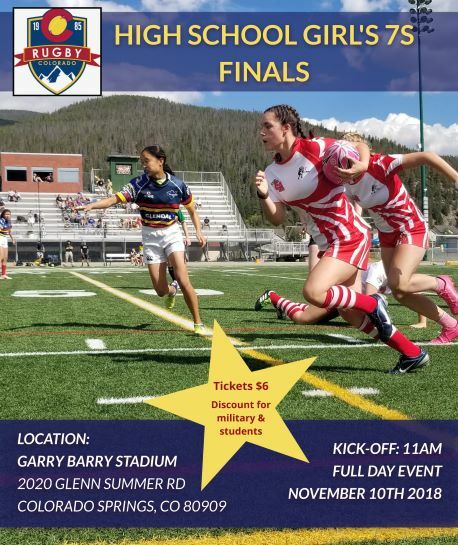 In addition, guest coaching by former USA Eagles and professional players, James Paterson (Super League) and Paul Emerick (Aviva Premiership) will be on offer, and current US Eagles front row, Zach Fenoglio, will also stand-in on occasion for the rugby instruction. This canny cadre of knowledgeable and dedicated workers are there to enhance and cement drills and skills that are integral to our game at all levels. And, as ever, the camps are free of charge!